How can a virtual server survive the failure of its hosting hypervisor or physical server? The failure of a hypervisor or its underlying physical server cascades to all hosted virtual servers further causing their hosted IT resources to fail. 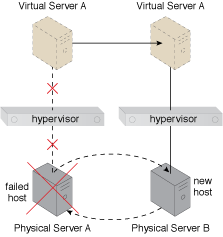 Hypervisors are clustered across multiple physical servers, so that if one fails, active virtual servers are transferred to another. Heartbeat messages are passed between clustered hypervisors and a central VIM to maintain status monitoring. Shared storage is provided for the clustered hypervisors and further used to store virtual server disks. Physical Server A becomes unavailable, thereby bringing down its hypervisor. 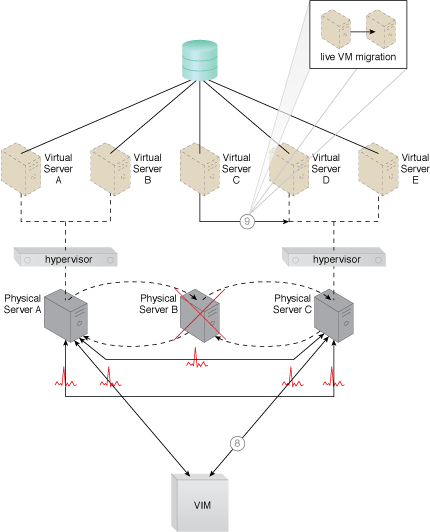 Because the hypervisor is part of a cluster, Virtual Server A is migrated to a different host (Physical Server B), which has another hypervisor that is part of the same cluster. 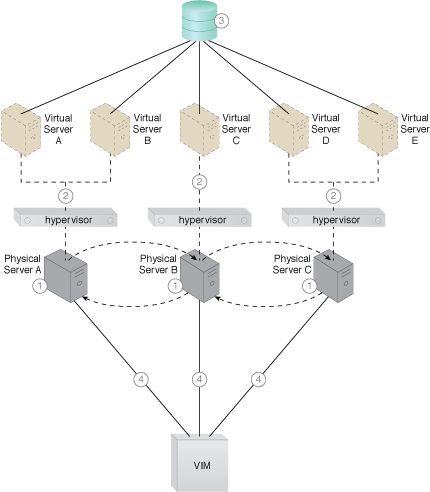 A cloud architecture resulting from the application of the Hypervisor Clustering pattern (Part I). These initial steps detail the assembly of required components. A cloud architecture resulting from the application of the Hypervisor Clustering pattern (Part II). 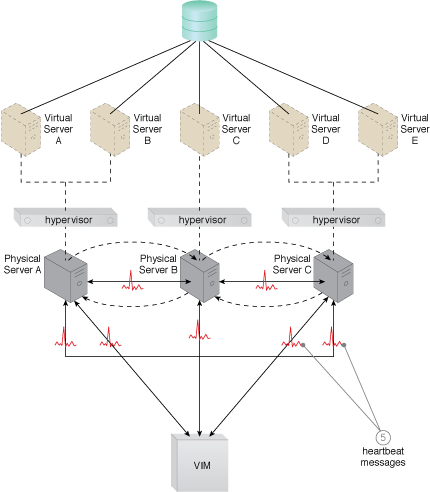 A cloud architecture resulting from the application of the Hypervisor Clustering pattern (Part III). 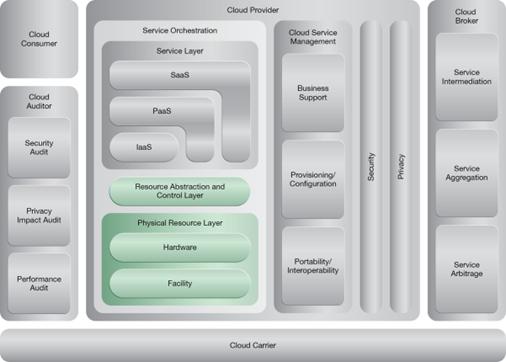 A cloud architecture resulting from the application of the Hypervisor Clustering pattern (Part IV).